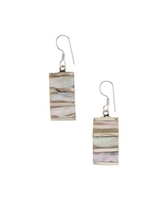 Iridescent abalone shell lends techno-chic appeal to these drop earrings. Mount your bohemian-inspired styling with this gleaming pair that illuminates your look with artful elegance. 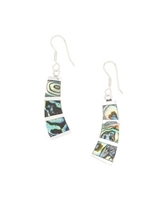 Exude boho-chic style when you frame your face with these chic, abalone earrings that feature a whimsical shooting star accent. Abalone design in black resin. 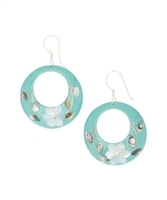 Exude boho-chic style when you frame your face with these chic, abalone teardrop earrings that feature a whimsical galaxy design. 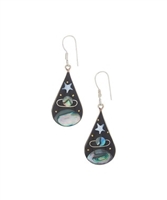 Abalone galaxy design in black resin. Wear your bohemian-inspired styling with this gleaming pair that illuminates your look with artful elegance. Sterling Silver Ball Drop Earrings 8mm. Featured on page 4 with complete matching collections. 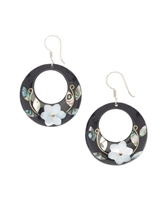 Embellished with floral accents, these drop earrings lend a femme-chic finish to your look. Tear drop stone in hammered loop. 2 in. drop by 0.75 in wide. 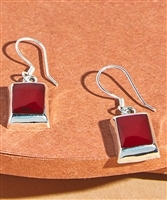 Elevate your look with a bright pop of color by slipping on these playful sterling silver square drop earrings. 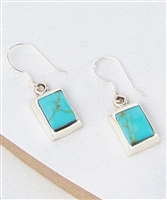 Elevate your look with a bright pop of color by slipping on these playful sterling silver rectangle drop earrings.